A Sydney based privately owned concrete polishing company est. 2004. When you choose Sydney Polished Concrete Professionals for your flooring and installation projects, you choose a team of highly skilled technicians dedicated to providing you with a completed job on time, on spec and on budget. 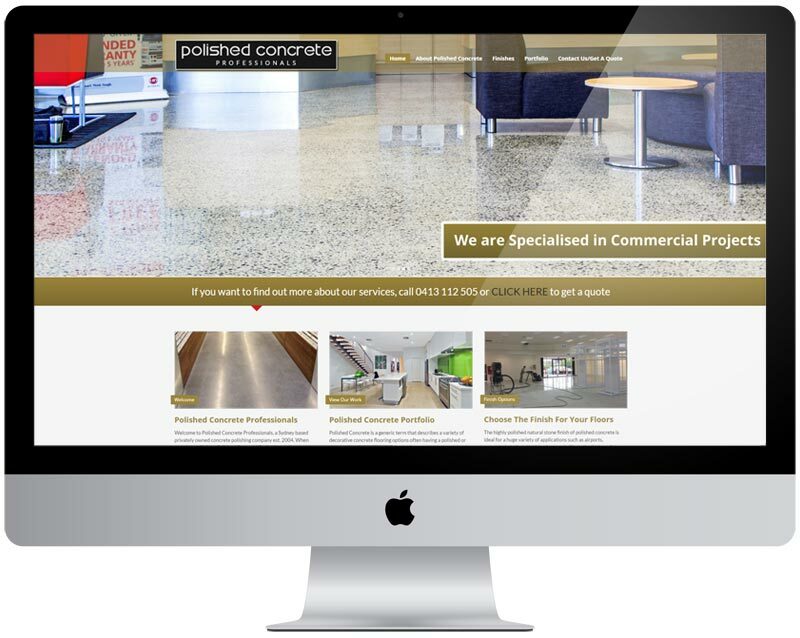 Paisley developed a WordPress site for Sydney Polished Concrete to display their services, luckily for us they have a huge range of quality photographs that we were able to use when developing their WordPress site. Utilising the WordPress CMS, Sydney Polished Concrete can update the images and articles as new jobs are completing, ever expanding the portfolio available.